Gilligan’s is not a quick service, fast food, drive-through or “counter service” restaurant. Our entire menu is prepared fresh daily and supplied from local producers and with suppliers that understand how serious we take our concept. We will not use any preservatives, artificial ingredients or equipment that violates the “FRESH” concept. The Gilligan’s concept was designed from the kitchen out. The idea was to create a family friendly restaurant where fresh ground burgers were the most important component. Gilligan’s menu is kept relatively simple and is prepared using only Ontario’s finest ingredients or when possible local farmers and producers of fine meats. 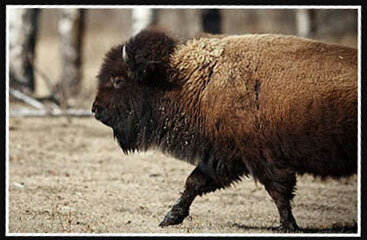 We are proud to be working with great producers like New Bread Farms who farm our Buffalo Meat in Essex County. Maxwell Poultry that supplies us with our fresh ground turkey from his family farm located in beautiful Amherstburg. It all starts with fresh local ingredients and finishes with great service. At Gilligan’s Fire Grill we continually work hard to source all the right ingredients so that when you bite into a Gilligan’s burger or enjoy our Signature Dry Rub St. Louis Side Rib you will quickly understand why we are so excited for you to come into your neighborhood Gilligans and say hello and join us for lunch or dinner. For this effort, Gilligan’s is rewarded with community awards and strong customer loyalty. With over twenty years of grilling and with so many burger fans in Essex County, Gilligan’s still remains true to the brand and culture: 100% Ontario AAA corn fed beef, local farm fresh produce, colossal home-style shakes and signature Gilligan’s Fire Grill Sauce. The “EAT FRESH FEEL GOOD” guarantee remains the cornerstone of Gilligan’s success. 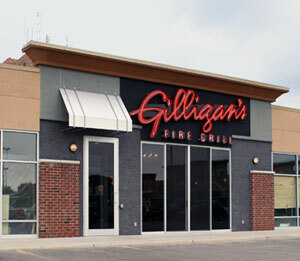 After so many great years the new Gilligan’s Fire Grill concept is being launched. We are excited to introduce our new look and re-designed menu.